Jessica Stanko, better known as her stage name Vessica EOS is an up and coming American singer, songwriter, musician, dancer, actress, and model from Pittsburgh, Pa. Vessica’s style is conscious, thought provoking, soul touching melodic pop; musically influenced and inspired by Michael Jackson. Naturally talented, Vessica is a self taught pianist and dancer; and with no formal training in music, she began composing songs and poems at age 11, recording them over her brothers instrumental rap tapes. 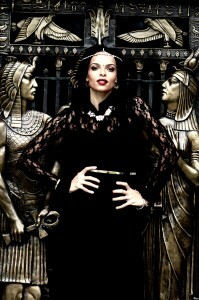 Most recently, Vessica EOS was cast as the principal role (lead singer/dancer) in a musical cabaret based in Miami, FL. In addition to music, Vessica EOS is a published model and actress and has worked with the biggest names in the music and entertainment industry, which includes Eddie Murphy, Snoop Dogg, Lil Wayne, 2 Chainz, Chris Brown, Nicki Minaj, Bone Thugs n Harmony, and Tyga. Vessica EOS also participated in reality television on major cable networks (Millionaire Matchmaker and Baggage hosted by Jerry Springer). Currently, Vessica EOS is working on her untitled debut EP. Suitable for everyone, her album’s musical style is a satisfying mixture of Fantasy, Sci Fi, and Fairy Tales guaranteed to take your imagination on a joyous ride, aiming to shift the listeners perception. Book Vessica EOS for your next event now!